Robert Hite was born on March 3, 1920, in Odell, Texas. He enlisted in the Aviation Cadet Program of the U.S. Army Air Corps on September 9, 1940, and was commissioned a 2d Lt and awarded his pilot wings on May 29, 1941. 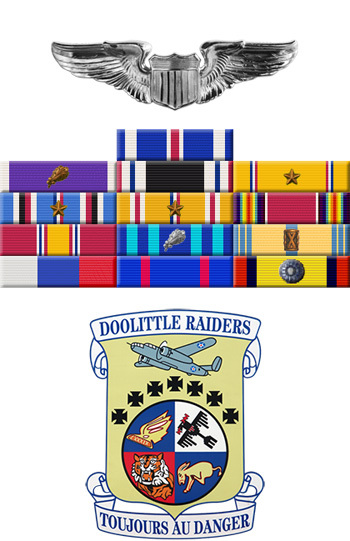 After completing B-25 Mitchell training, he was assigned to the 89th Reconnaissance Squadron of the 17th Bomb Group at McChord Field, Washington, and was selected for the Doolittle Mission in February 1942. Lt Hite was the co-pilot on the 16th B-25 to take off from the aircraft carrier USS Hornet (CV-8) on April 18, 1942, and after bombing its assigned targets in Japan, the crew bailed out over China when their aircraft ran low on fuel. He and the other members of the crew were all captured by the Japanese in Occupied China the same day they bailed out, and he was held as a Prisoner of War at the Shanghai War Prisoners Camp in Shanghai, China, until being repatriated on August 22, 1945. After returning to the United States and recovering from his injuries, Maj Hite served with the 100th Army Air Force Base Unit at Mitchel Field, New York, until he left active duty and joined the Air Force Reserve on September 30, 1947. He returned to active duty on March 9, 1951, and then served as an instructor pilot with the 3576th Pilot Training Squadron of the 3575th Pilot Training Wing at Vance AFB, Oklahoma, from March 1951 to February 1953. His next assignment was as Operations Officer for the 3575th Pilot Training Group at Vance from March 1953 to September 1954, followed by service as Chief of the Operations Division with the 7280th Air Base Group in Morocco from September 1954 until he left active duty and returned to the Air Force Reserve on November 7, 1955. 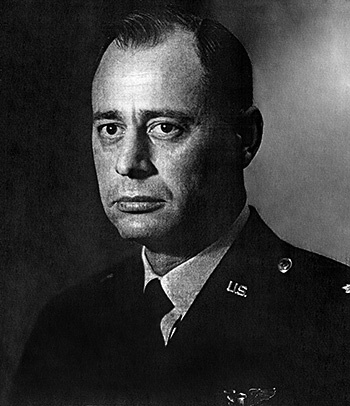 Col Hite remained in the Air Force Reserve, serving as Commander of the 9804th Air Reserve Squadron at El Dorado, Arkansas, and as an Education and Training Staff Officer, until his retirement on January 1, 1969. Robert Hite died on March 29, 2015. For extraordinary achievement while participating in a highly destructive raid on the Japanese Mainland on April 18, 1942. Lieutenant Hite volunteered for this mission knowing full well that the chances of survival were extremely remote and executed his part in it with great skill and daring. This achievement reflects high credit on Lieutenant Hite and the military services. 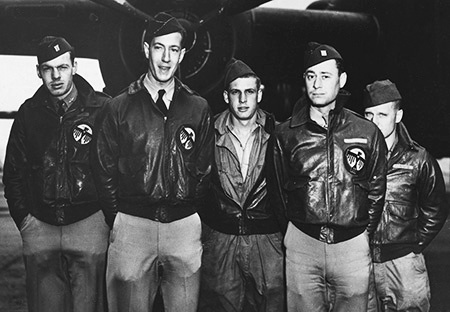 Crew 16 of the Doolittle Raiders, left to right-Lt George Barr, Lt William G. Farrow, Sgt Harold A. Spatz, Lt Robert L. Hite, and Cpl Jacob D. DeShazer.